One important plugin we need after setting up our new blog is a good seo plugin which will add custom titles to pages, posts, media, tags etc. There are few plugins which remain good enough to give your blog better exposure to the public. The best ones we all know their names, all in one and yoast seo. I have used both of them and all in one seo is the one i used for a long time. Here on designscrazed i’m actually using Yoast seo plugin. Improving the website speed is another tweak to gain high rank in google serps, its that simple. Page load can severely ruin the complete website experience of your visitors and they may stop visiting again. We will be soon talking about some important WordPress plugins to improve the site speed so stay tuned. Here you will find some great WordPress seo plugins you must not miss and we will keep you updated. The current version is 2.2.7.2 and the total downloads of the plugin has gone up to 20 million. This is the seo plugin used by majority of the WordPress population as it is fairly easy to setup even for novices. The latest version of all in one seo will require a WordPress installation with at-least version 3.3 or higher. 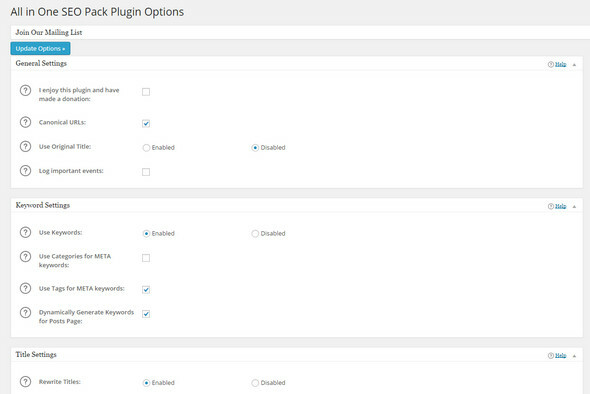 The plugin is compatible with WordPress 4.x as well. This plugin does a good job by optimizing WordPress blog themes such that search engines can easily find your posts, pages etc. The pro version is not for novices though but you can get it for added support with installation and a great community. Like other seo plugins the basic task is to simplify the work of onpage optimization which cannot be done with just the basic WordPress settings. This plugin has a huge number of features to start optimizing your website. One of the best option is adding meta titles, descriptions, tags to the website automatically. Auto generate description is an advanced setting in All-in-one seo pack as the data will be added automatically by checking the content of your post but there is a option to override it and manually add post title, description, tags to suit your needs. Great plugin overall with amazing set of features. After the installation you will find a new panel named SEO in WordPress dashboard. 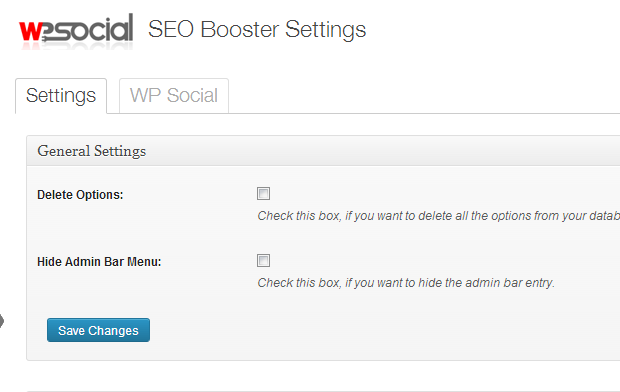 You start off with Yoast WordPress SEO: General Settings when you click on this seo panel. Underneath the General Settings, you can add the verification codes for the different Webmaster Tools programs like Google and Bing’s Webmaster Tools. There are options to force rewrite titles so the setting in yoast seo will be chosen by default instead of using the WordPress setting found under settings-general. Yoast plugin will allow you to add custom templates like title and metas to your post, pages, tags, author, categories very easily. You can choose to use them for all of your website posts,pages and as all-in-one seo pack, yoast seo plugin also provides an option to manually add title and meta for individual posts. This plugin is used by many tech giants as it allows many advanced features. There are 34 variables which you can choose for auto generating meta content for the website. You can also set some site-wide settings for the site to add specific meta tags or to remove some unneeded indexing. There is a XML sitemap generator integrated with yoast WordPress seo and it is always updated when you add or edit a post. If you have integrated webmaster tools with yoast seo(In General settings), the sitemap content will be updated to the google webmaster tool automatically. The favorite feature of them all is striping the category base ( website.com/category/wordpress) from the category URL. Internal linking can be done properly with the breadcrumbs support provided by the plugin and that too very easily. Editing .htaccess and robots.txt files can be done from the plugin interface which is a pretty cool feature to have. It provides an onpage seo score for your post which you can check before posting a article, with it you can optimize the article using a focused keyword. The plugin will rate your post according to the content from low to good. Add a focused keyword, do a seo check in the post and the plugin will show the areas to improve the article. Overall classic seo plugin, a must try and a must have one. The current plugin version is 2.3.5 released recently. This plugin is solely used to generate XML sitemap and you can add the generated sitemaps to site like Google, bing, yahoo, ask etc which will make your website visible to search engines properly. Good thing is you can use this plugin along side all-in-one seo pack, Yoast WordPress SEO as well as other seo plugins out there and there will be no conflicts. You just have to disable the xml sitemap feature in yoast seo to reduce the total server load(very low anyways) by the way. The plugin is very powerful as it will generate a complete structure of your site for the web crawlers. It will even detect custom pages,posts like product pages used by eCommerce themes and will add them to the sitemap. It also provides complete flexibility on sitemap generation as you can choose which post-types should be allowed to index and also comes with a feature to exclude certain categories, posts to avoid public listing. Set how to index your sitemap contents with the frequency option. You can set frequency and priority of homepage,posts etc to daily as they are often updated and should be notified to indexing services. Rebuilt the sitemap and use the zipped version of it to submit to google, bing etc to reduce the bandwidth. You can use this plugin eyes closed as it will be do the rest once its set. 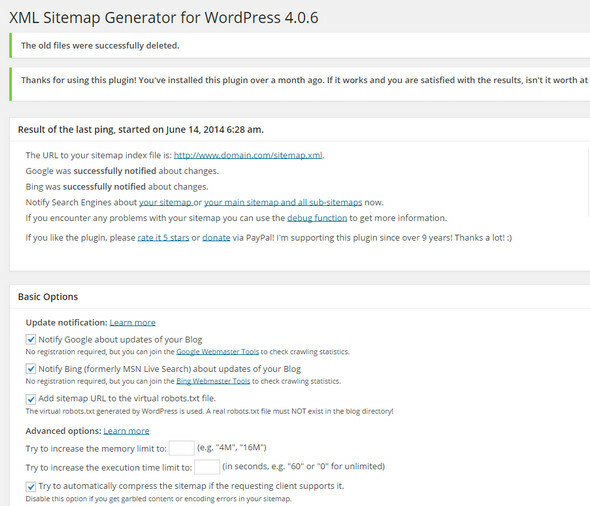 Version 4.0.8 is the latest and compatible with WordPress 4.x. Now everyone know that social media plays an important role in getting visitors relevant to a niche. Getting a boost in total pageviews can only be achieved with visitors who are interested in our niche. Visitors who get into your site from social media networks will generate higher ad revenue and sales if you are selling any services. Keeping your social media networks updated which latest trends, inspiring them now and then with cool topics is always very essential and a webmaster knows it very well. Version 1.2.0 is the latest and it also has support for rich snippet integration in posts. The plugin lets you integrate a ratings system which will enable rich snippet visible in Google search engine results page. Verifying your google authorship with the domain is essential and wp social will let you do it too.